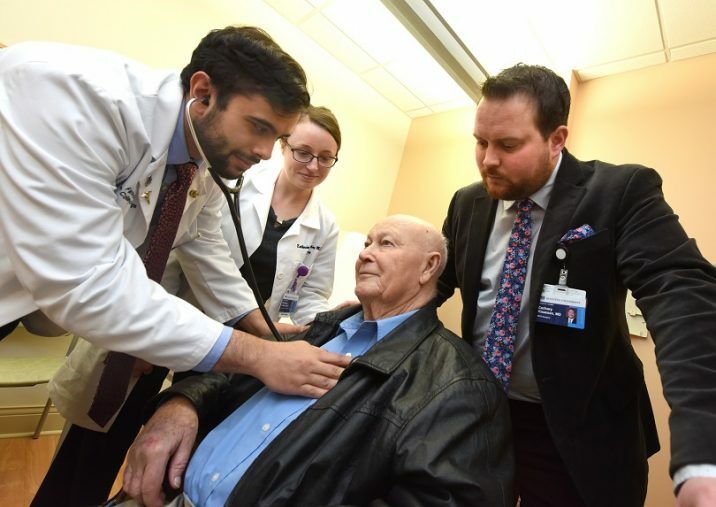 Dr. Zach Klaassen, a urological surgical oncologist at the Georgia Cancer Center and Medical College of Georgia at Augusta University, watches over his residents during a clinic visit with patients. Students at the Medical College of Georgia are finishing the first month of their spring semester. For some, they are mere weeks away from Match Day 2019. For others, it is the start of their second semester of medical school. But, no matter where they are on their academic journey, it is the perfect time to find a mentor ready to help guide their career path. According to Klaassen, students should consider three areas when choosing a mentor. First, the ability to connect and share experiences important to the mentee’s career in the medical field. This can include helping the student provide the best information on an application for residency and/or fellowship or sharing insightful opinions on a student’s research proposal. Next, a good mentor will provide letters of recommendation that are as individual as the person applying for the residency or fellowship. Finally, mentors and mentees form a bond that is going to survive into actual medical practice. For Klaassen, he gets much more enjoyment from walking a resident through a procedure and watching them do it well than doing the procedure himself. After all, being a mentor means you make an impact on the student’s or resident’s career that will last for years to come. When they have questions about the best treatment plan for a patient’s condition, they have access 24/7 to someone who is ready to listen and provide guidance on the next steps. Of course, communication is the biggest key to a successful mentor/mentee relationship. 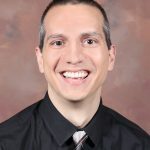 For Klaassen, he likes to talk with his residents to find the best way to share critiques, offer opinions about alternative surgical options, etc. 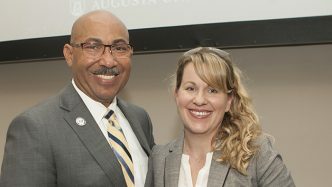 Klaassen, Dr. Martha Terris and the other members of the Medical College of Georgia’s Section of Urology have a mentorship program, the Urology Interest Group, starting as soon as first-year students take the first steps in their career. The team holds workshops every three months to meet with students, discuss topics related to urology including urinalysis, suture tying and cystoscopy. According to Klaassen, the mentoring program for urology starts with around 40 first-year students. By their second year, the interest drops to 20 as students start to decide on their career choices. Once they get to third year, the number of students is typically between 10 and 12. 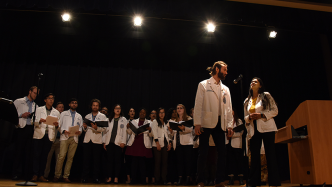 Around five students declare urology during their fourth year as they interview for residency programs. 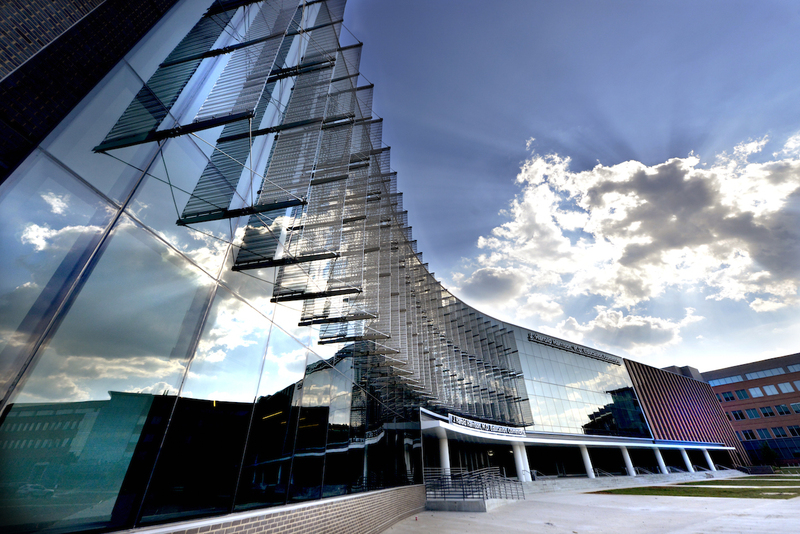 To learn more about urology residency or other residency programs, visit the Medical College of Georgia’s Office of Graduate Medical Education.